CELEBRATING LIFE!! : Foggy Morning ! You sleep late thinking about how you could have done this done that…. worried, frustrated and what not… and suddenly you wake up too early in the morning. You try to sleep but can’t… your mind continuously ponder over things which holds on to you forever. And when such things happens to you focus on smaller things in life which can give you immense peace. On one such early morning when Sun was still hiding down the east, I got out of the bed, looked around and started clicking this beautiful night. 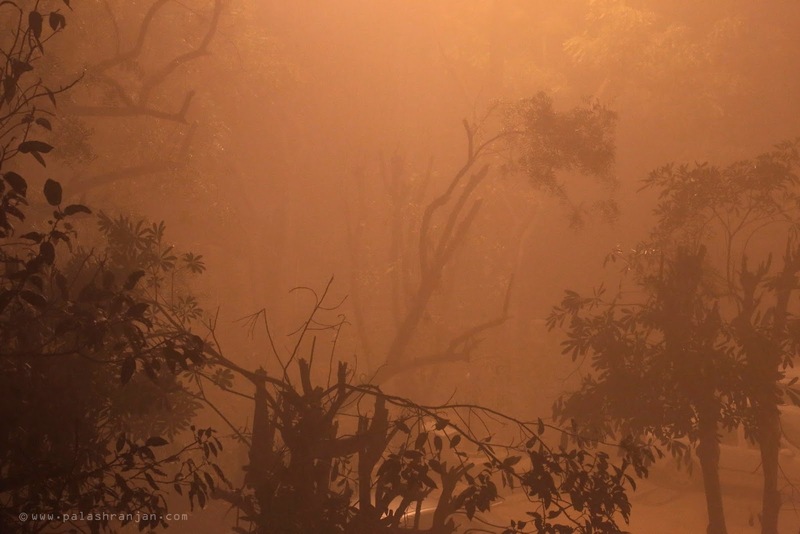 The fog was all around and a distant street light was filling the space to give this beautiful yellowish texture. Indeed it was a pleasure to the mind!